I'm a fishing addict. I fish whenever I can. 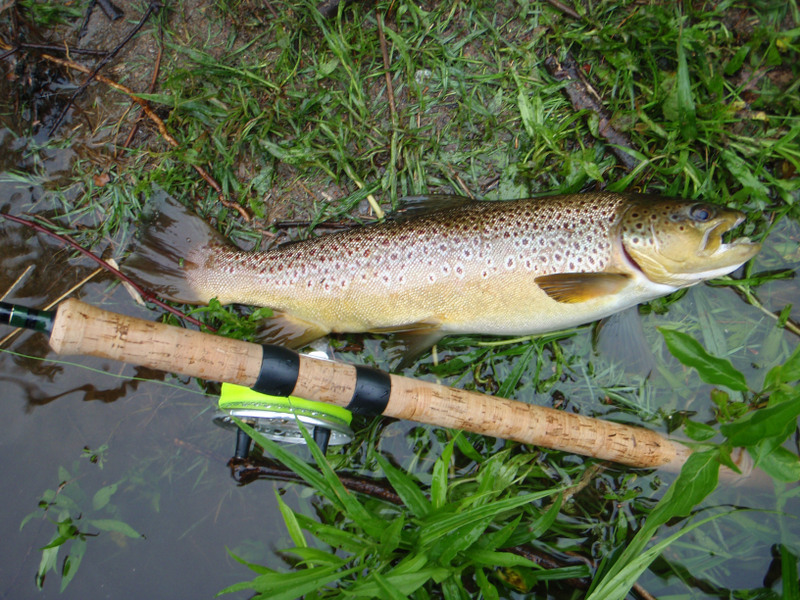 I fish for all kinds of fish in streams, rivers, lakes, the ocean, from boats, from kayaks, and in waders. Fishing addicts like me collect fishing stuff, lots of colorful fishing stories, and interesting fishing buddies. And fishing buddies share pictures of their more memorable catches. I've been looking for the perfect fishing camera. My requirements are simple. The camera needs to be small, waterproof, take good quality pictures, and power on quickly. I finally found a good match to my requirements, the Olympus Stylus 1030 SW.
Today, I took the new camera to my favorite spot on the Farmington River - the Ovation hole in New Hartford, Connecticut. 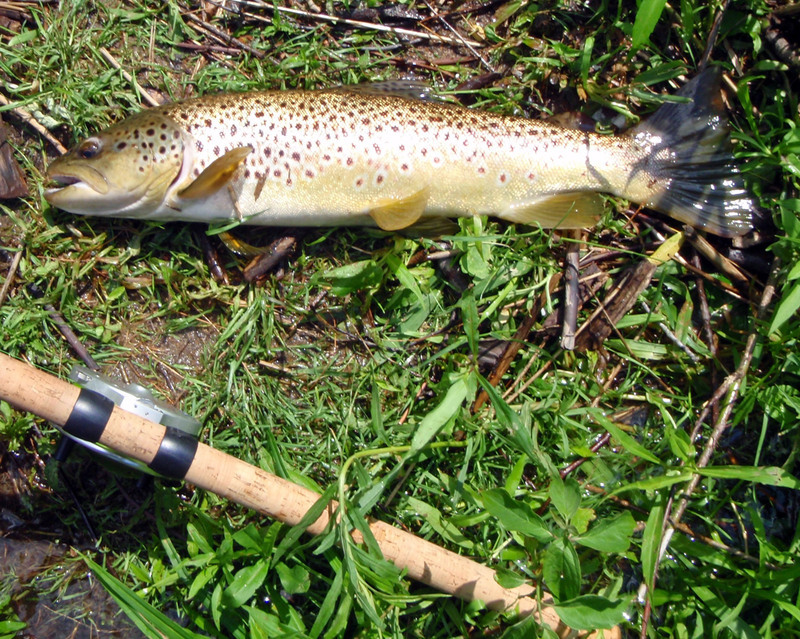 My first fish of the day was a 22 inch brown trout (see below). I caught the fish, brought it to the river bank, laid it down next to my rod, took out my camera, and snapped a few photos. Here is what really happened: I caught the fish and tried to get it to stay put while I got out the camera. The fish thrashed around and splashed all over the place, splashing me and the camera. I got fish slime all over my hands trying to steady the fish and on the camera. I eventually got the fish in position and quickly snapped a few photos. Then I tossed the camera onto the wet bank so that I could focus my attention on safely returning the fish to the stream unharmed and healthy. The Olympus Stylus 1030 SW performed like a champ - it is small so I can store it in my chest pack without having to leave anything home. It powers on quickly so it's ready to take pictures immediately. It's waterproof so it can get splashed, covered with fish slime, and sit where you would never consider putting another camera - on a wet riverbank or even in the water. Add to this a long life rechargeable battery, 10.1 megapixels, a 3.6x optical lens, shockproof, waterproof, dustproof, and crushproof. What more could a fishing guy want?